If you are interested in any of these pictures I am happy to arrange payments from major credit/ debit cards, each sale is dealt with as an individual and unique transaction. During the French wars Dr Thomas Trotter, physician to the Navy, set up a naval hospital in a large house near the beach at goodrington. 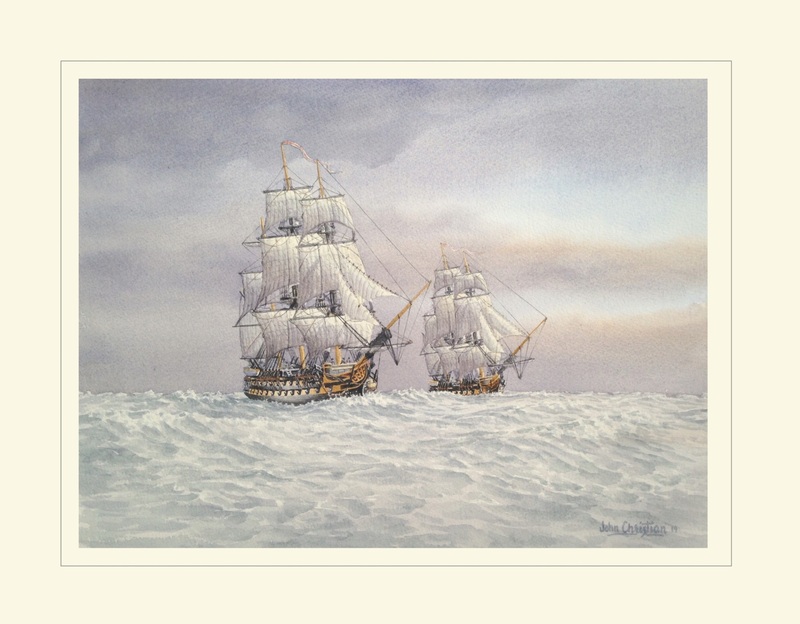 This prevented the over crowding of the naval hospital at Dartmouth, there was a graveyard that washed away by the hospital and now there is a memorial stone. 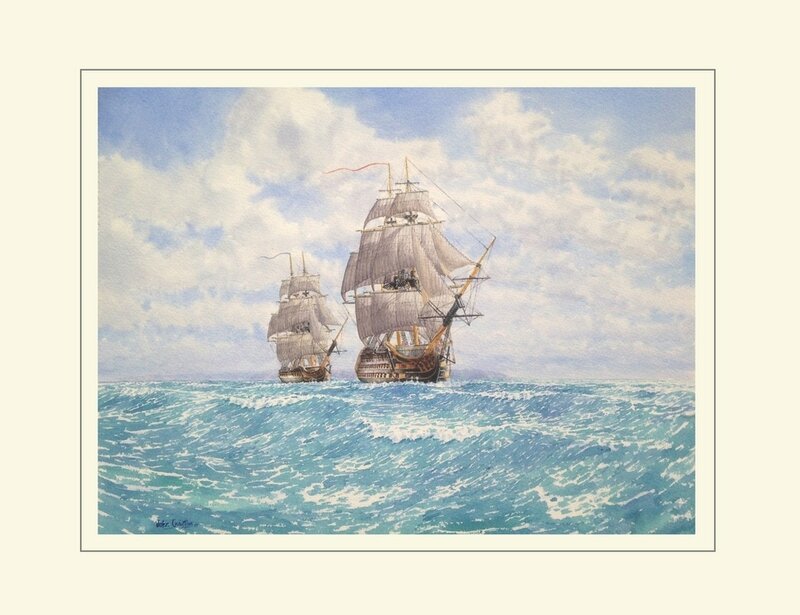 From the records of Thomas Trotter Physician to the Fleet, published in 1797. 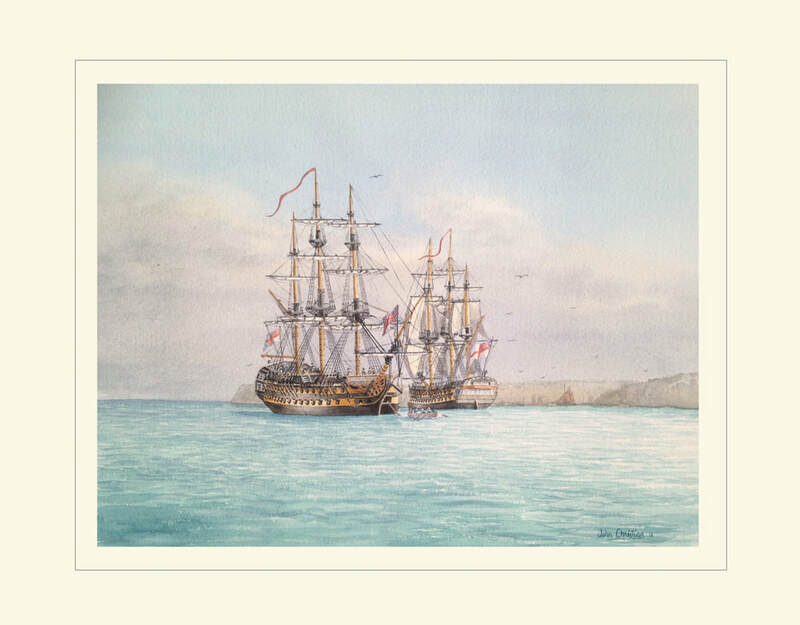 Many boats were effected by epidemic of catarrh, or influenza, as it was first named by the Italians, in 1782, both Fortitude and Brunswick were mentioned among many others as putting in to Torbay to clear the ships. 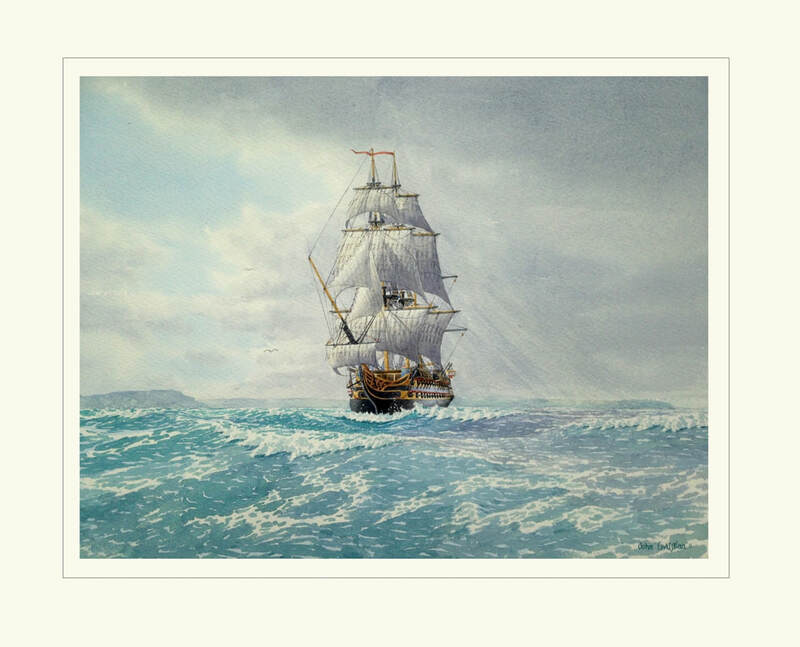 Weighed anchor 15th September 1805 at daybreak from Portsmouth, the Euryalus, Captain Blackwood, in company; owing to a contrary wind, they came to anchor again; by the evening of the next day off the Berry Head. After encountering much blowing weather, the Victory and Euryalus arrived off Cadiz on the29th of September, the Admiral's Birthday. 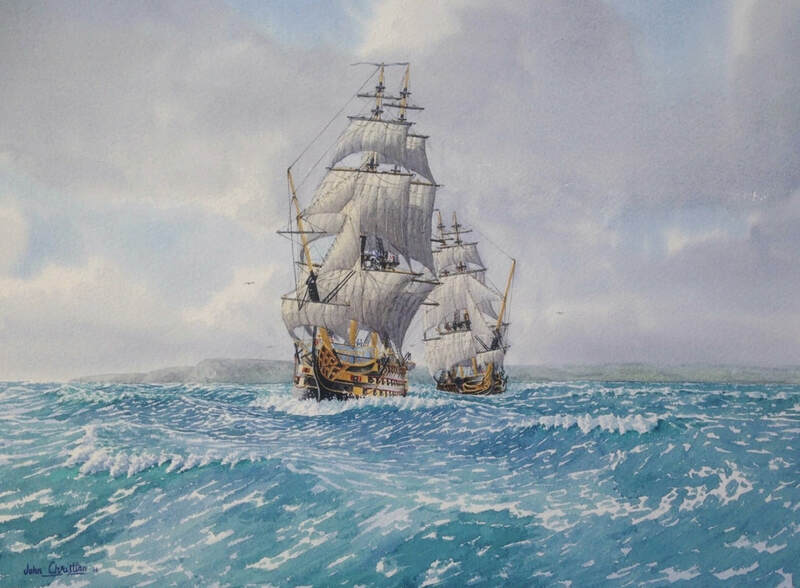 ​bound for the black rocks off Brest to meet Admiral Cornwallis. 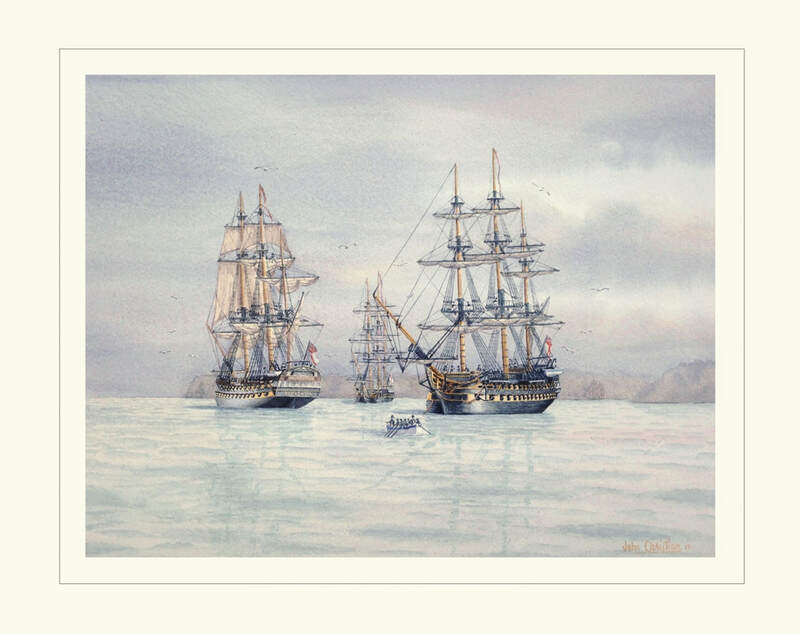 1799 Foudroyant departed Naples on 6 August, in company with the frigate Syren, and the Portuguese ship Principe Real. 18th of May 1803 Nelson joined victory at Portsmouth and hoisted his flag, she sailed on the 20th at 10am with Amphion, Captian T. H. Hardy, in company heading for the Black Rocks of Brest. 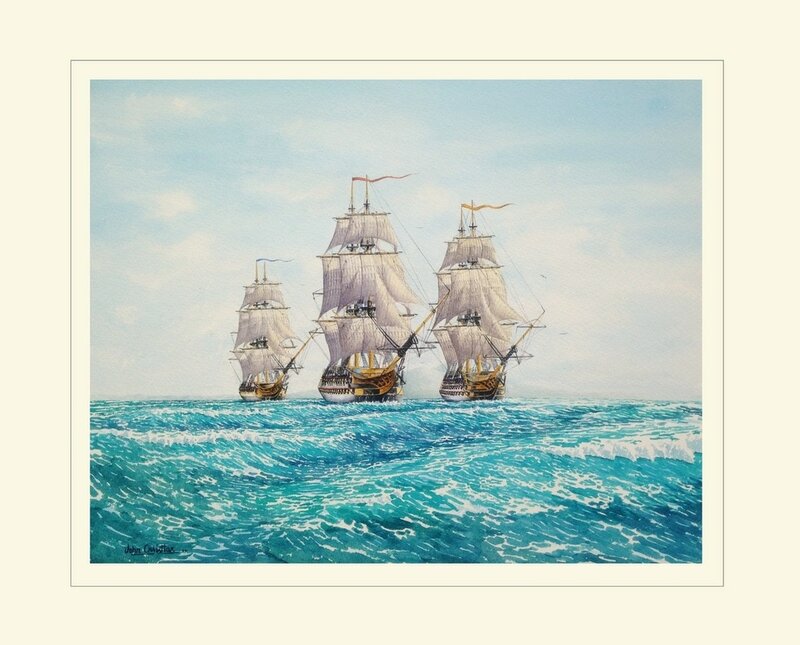 Nelson, on board Victory, weighed on the Sept 15th 1805, at day-break from Portsmouth, the Euryalus, Captain Blackwood, in company; After encountering much blowing weather, they arrived off Cadiz on the 29th of September.